How to get hotter than the Australian outback. Training Mate is one of Australia’s hottest exports. The high-intensity interval training workout is a combination of strength and cardio exercises and lots of bad jokes, built on the belief that you can do anything for 45 seconds when you’re surrounded by people to push you. “I wanted to bring the camaraderie of a team to the fitness industry. My philosophy on a healthy lifestyle is that we need to address three parts of our life: physical health, social health, and mental health. Training Mate addresses all three and is a supportive, motivating and positive place where everyone feels at home,” founder Luke Milton told Citizine. For Luke, finding the balance for a healthy lifestyle starts in the kitchen. ”I like to increase the micronutrients [post-workout] with green leafy veggies, some fruits and veggies, something that gets in there and really helps me just replace some of those minerals that you sweat out when you’re doing a workout.” he said. Luke’s favorite piece of health and fitness advice he’s ever received is that the best workout is one you’ll continue to do. “It was such a simple saying at the time, but I’ve really grown into understanding what that means. Consistency is the key to success and every part of our life. Exercise and fitness is definitely no exception to that. I think the workout, whatever it may be— whether it’s running, walking, swimming, surfing, riding or Training Mate, the one that you continue to do is going to be the best workout for you.” Luke added. It can’t hurt to see if Training Mate is the workout for you when the first class is free. They’re now expanding across the US, in London and back home in Australia. 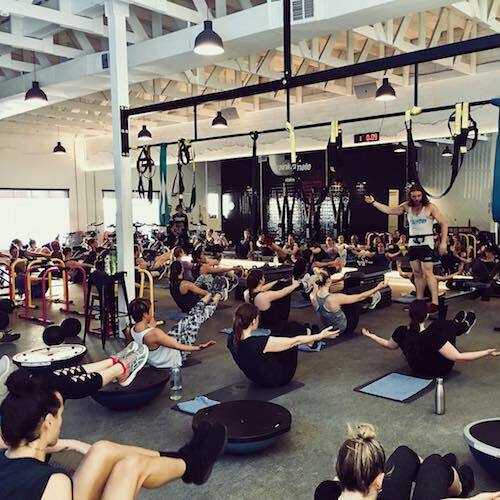 While you’re looking for your nearest Training Mate or waiting for them to hit your area, make sure you check out some of Luke’s other favorite health and fitness gems around LA. 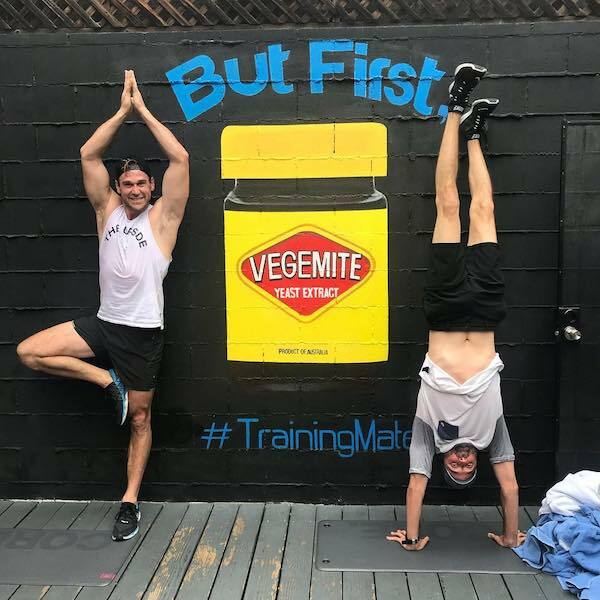 Luke Milton: Training Mate was created to replicate the camaraderie of my career in team sports as a professional athlete. Where others yell, we cheer. Where others compete, we high five. Where others live to train we train to live. When we started Training Mate in 2013, we wanted it to be so much more than a workout, we wanted it to be a way of life. Luke Milton: Pixie is not only one of my favorite instructors, but she’s one of my favorite people. Pixie has a holistic approach to fitness and her classes have you leaving a better person. LM: I like changing up my workouts and Nichelle and Aaron guys have got a way of pushing me past my comfort zone. There's something about their no nonsense approach that wins me over. LM: Dalton and Erin are two of the most incredible souls I've ever met. The disciplines of yoga have never come naturally to me, but these guys have a way of making me feel like a rockstar and letting me enjoy the yoga experience. LM: So fresh and super tasty. They make eating healthy easy. Training Mate is a circuit based 45 minute HIIT (high intensity interval training) class that uses a combination of resistance and cardiovascular exercises to burn up to 1,000 calories in a single session. 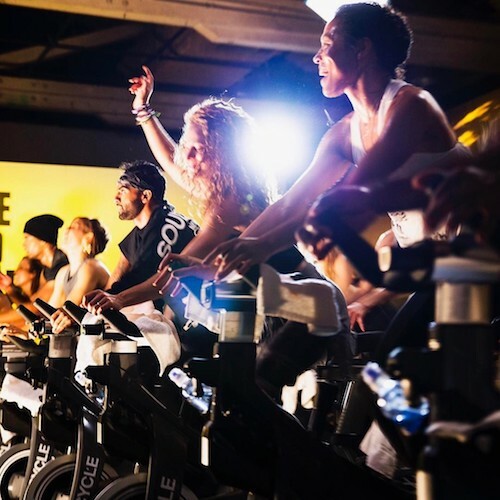 Cycle House offers the most intense cardio workout in Los Angeles. Unleash your intensity at Cycle House! 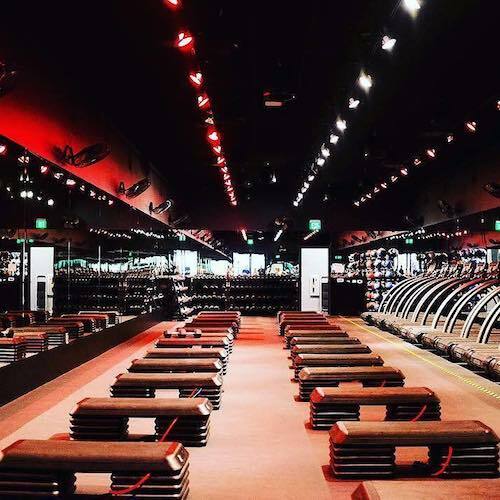 A pioneering boutique fitness brand started in Los Angeles. 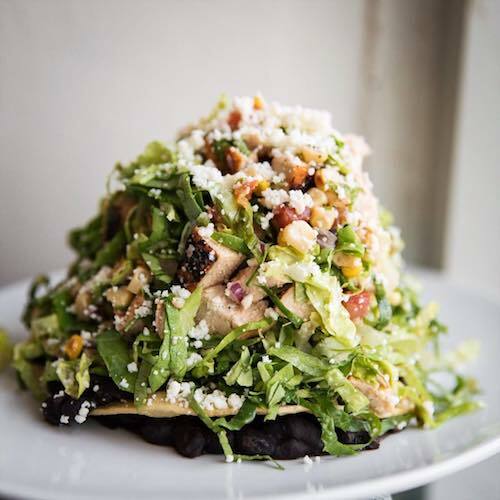 Tocaya Organica offers salads, tacos, bowls, and burritos – serving them in a sophisticated yet accessible fast casual setting. The versatile menu is rooted in traditional Mexican recipes, naturally accommodating a variety of preferences including vegan, vegetarian, and gluten-free.